Young rural drivers are nearly twice (44%) as likely to be involved in a collision compared to young urban drivers. This statistic is from research conducted by Road Safety Analysis in 2013 in support of the Drive it Home campaign. The report highlighted just how dangrous the roads are for young rural drivers. 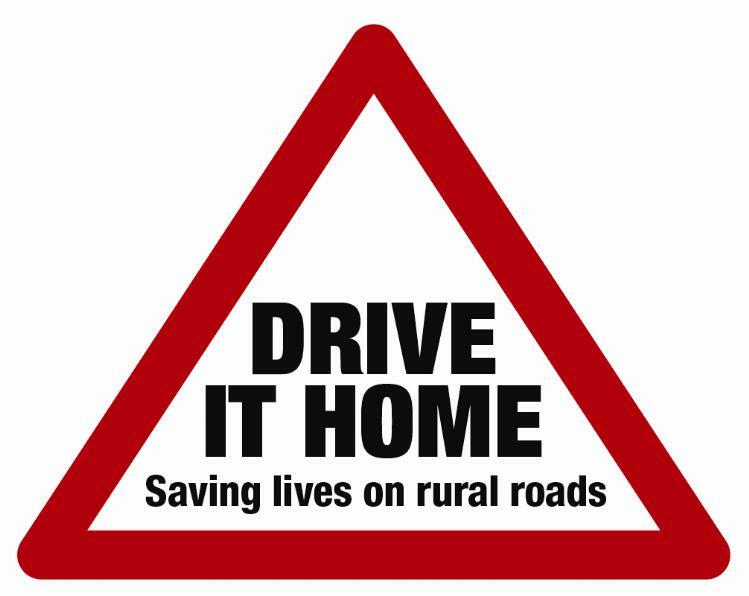 Many Young Farmers’ Clubs have lost members in tragic road accidents and as the majority of our members live and work in rural communities, NFYFC wanted to do something to save lives on rural roads. 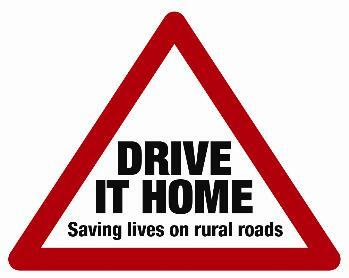 NFYFC launched the Drive it Home campaign, supported by NFU Mutual, in November 2012. Create Drive it Home Champions who can promote safer driving in their local communities and peer groups. Offer opportunities for YFC members to improve their driving skills. Although the campaign is over we would still encourage YFC’s to include rural road safety on your club programme. Why not add a road safety night to your club programme? Following the campaign, a Curve training module was developed with Brake, the road safety charity. The session can be delivered by any county trainer with access to the Curve resource library. Please contact your county office or NFYFC for more details. You could also invite a local road safety speaker or the fire service to talk to you. If you hold a road safety event, tell us all about it! Just email magazine@nfyfc.org.uk.or post on the NFYFC Facebook or Twitter pages.